Compares prime ministerial rhetoric about looking after today’s veterans with veterans’ claims about the poor performance of the Department of Veterans’ Affairs. They want a Royal Commission. David Stephens writes in Pearls and Irritations about a recent speech by the prime minister to soldiers, where he stressed their role as high-tech innovators and only mentioned the Anzac spirit as an afterthought. Comments on Minister Tehan’s statement to Parliament about commemoration activities during 2016, noting a (kind of) reversal of a decision about a service at Lone Pine. The Memorial says to Honest History that it is ‘happy to let your opinion stand’. We try to work out what this opaque statement means. Does the Memorial agree with our comments and criticism or is it simply fencing? A note on Minister Tehan’s first media release; the note puts Darwin’s bombing commemorations in context. Dan Tehan MP is the new Minister for Veterans’ Affairs and Minister Assisting the Prime Minister for the Centenary of Anzac. We posted this consolidated article with links to our material on interactions with the Minister since he took office. James McConnel and Peter Stanley puzzle over why the descendants of British soldiers are being shut out of the Australian-organised Fromelles and Pozieres commemorations. The Australian War Memorial has marked the end of the year of ‘peak Anzac’ with an attractive six-minute video ‘Year in Review, 2015’. It is the first time the Memorial has done such a video. It was on the Memorial’s home page for about six weeks, on the Memorial’s Facebook page (though a long way down, given how Facebook works) and on You Tube, where it is not ‘all the rage’ by any means but has had about 1550 views. There is, though, one nice clip right at the end where a staff member says quietly, ‘This is why I work here’, and the camera pans slowly across the Roll of Honour. That sequence makes the video memorable (rather than just professional) and goes to the core of what the Memorial is about in 2016; Mephisto, Rarest Tank in the World, the Peter Jackson video, the sanitised mock-up of a trench in the Discovery Zone, the banal ditty in the final room of the World War I galleries, and other fripperies pale in comparison. If the focus on dead men and women in the Roll of Honour cloisters could now be broadened to say more about the men and women who survived and returned, damaged, and more about their families, and if the inappropriate and exploitative Roll of Honour Soundscape children’s voices could be turned off for good, the War Memorial would be making a much greater contribution to the nation. The video includes a number of shots of Indigenous service people as well as visitors to the Memorial for the opening of the Captain Reg Saunders Gallery, honouring the man accepted as being the first Indigenous officer in the Australian Army. The most intriguing thing about the video, however, is not the pictures but the soundtrack, John Schumann’s song ‘On every Anzac Day’. We have written separately and at length about the significance of this choice of soundtrack. Cultural institutions are very conscious of the numbers of people who make use of them. Numbers affect funding, apart from anything else: governments don’t like to ladle money into places that don’t attract people. The incentive for institutions to find and present good numbers can be overwhelming. Honest History has analysed 25 years of actual visitors to the Memorial and seven years of virtual visitors to its website. The two types of visitor are by no means the same, which is one of the points we make in the article. 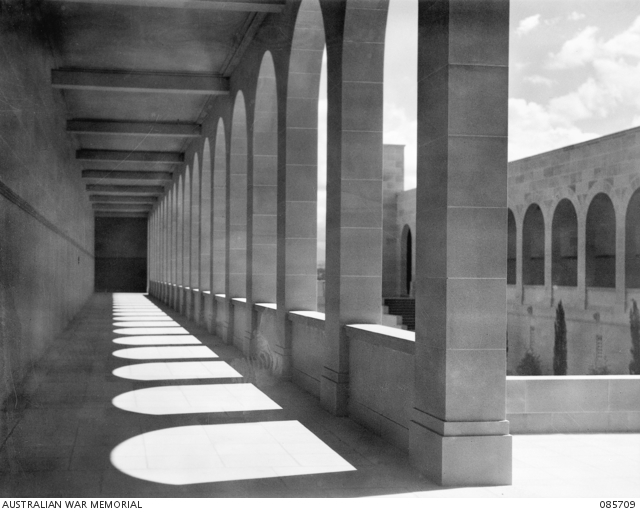 We also show in the article that the number of actual visitors to the Memorial has waxed and waned over a quarter century, that the ‘real’ numbers (visitors as a proportion of Australia’s population) have remained remarkably stable over this time, and that the great bulk of Australians in any one year (around 96 per cent) do not go to the Memorial. Looking at the Memorial’s website statistics, we find that they are a mixture of spin and confusion, even obfuscation, and they provide strong evidence of the need for an Australian Standard on web metrics. Honest History’s President, Peter Stanley, and Secretary, David Stephens, had a useful meeting on 28 January with Minister Robert’s Chief of Staff and his Media Adviser. Stuart Robert MP is Minister for Veterans’ Affairs, Minister Assisting the Prime Minister for the Centenary of Anzac and Minister for Human Services. Speaking just before turning the first sod on the $100 million Monash Interpretive Centre at Villers-Bretonneux, Minister Robert urged Australians planning to attend the Anzac Day service there in April not to be put off by the threat of terrorist attacks. “I believe it will be an extraordinary year this year, it will be very safe in terms of our commemorative events and I would encourage all tour groups and all schools to come and be involved in what is an extraordinary moment, 100 years since our nation made a definitive difference on the Western Front,” Mr Robert said. He and other government agencies have held talks with the French over security around Anzac Day in France. Like the Minister, Honest History hopes everyone keeps safe. On the other hand, terror threats may not be what keeps people away. The Lone Pine commemoration last year attracted many times fewer people than were expected (see Centenary Watch for September, ‘Barking up Lone Pine’), raising questions whether, after 25 April 2015, it would be downhill all the way with Great War commemoration. Of course, Turkey in August was very hot but then windswept Picardy in April might not be too flash either. Meanwhile, we wonder whether even the dedicated and sincere commemoration team at the Department of Veterans’ Affairs might be ‘over it’. During December, the Minister also announced more money for research into the treatment of PTSD plus a pilot project for veterans’ mental health counselling via Skype. 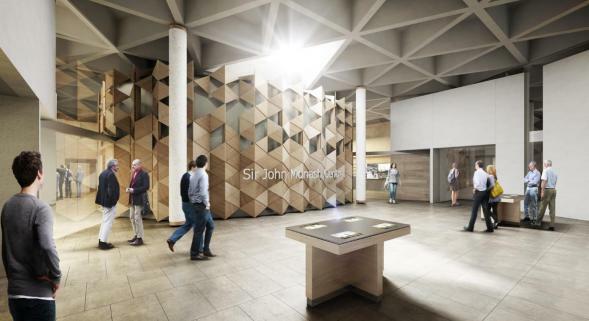 Both are welcome though comments on the Monash Centre (such as those on our article in Independent Australia) have noted that the $100 million being spent there to commemorate dead soldiers would have been better spent on helping live ones. Canberra bureaucratic arguments that ‘money cannot be shifted around like that’ don’t really cut it with ordinary people – particularly because the money for the whizzo Monash museum, complete with holographic virtual tanks (but probably not holographic virtual injuries), was shifted readily enough from a Defence portfolio vote normally used to build big sheds.